A common problem found in the industrial metrology is the reliability of the results obtained from temperature instruments, especially when they are used in operational processes which effect to the production quality. In this case, calibration of thermometer associated with a national standard through a documented unbroken chain of calibrations is of vital importance. This study presents the reliability of a Pt-100 Platinum Resistance Thermometer (PRT) measurement results which can be described according to calibration and statistical methods. The calibrated PRT’s resistance values are characterized as around 131.00 Ω by making a comparison with a reference PRT at 80 °C bath temperature and the total uncertainty of the calibration temperature is determined as ±0.08656 °C by metrological traceability together with measurement uncertainty. The total uncertainty value changes depending on uncertainty values of each equipment used in the calibration system. 1. Imai, H., Expanding needs for metrological traceability and measurement uncertainty, Measurement, 2013, 46, 2942–2945. 3. Morris A.S, Measurement and Instrumentation Principle, Butterworth-Heinemann, Linacre House, Jordan Hill, Oxford OX2 8DP, 2001. 4. Duvernoy, J, Dubois, A, Instruments and Observing Methods Report No. 86, Training Materials on Metrology and Calibration, World Meteorological Organization, 2006. 5. Walker, W.E, Harremoes, P, Rothmans, J, Van Der Sluijs J.P, Van Asselt, M.B.A, Janssen, P, Krayer Von Krauss, M.P, Defining Uncertainty, A Conceptual Basis for Uncertainty Management in Model-Based Decision Support, Integrated Assessment, 2003. 6. The International Bureau of Weights and Measures (BIPM), Evaluation of measurement data-Guide to the expression of uncertaintyin measurement, JCGM 100, 2008. 7. 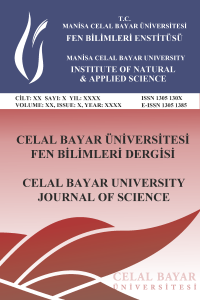 Kacker, R, Jones, A, On use of Bayesian statistics to make the guide to the expression of uncertainty in measurement consistent, Metrologia, 2003, 40 (5), 235-248. 8. Resistance Temperature Detector (RTD) - Principle of Operation, Materials, Configuration and Benefits, Sponsored by Innovative Sensor Technology, USA Division, 2014; https://www.azom.com/article.aspx?ArticleID=5573 (accessed 01.08.2017). 9. How to Calibrate an RTD or Platinum Resistance Thermometer, Application Notes, Fluke Calibration Digital Library, July-2017; (accessed http://flukecal.com/library, (accessed 01.08.2017). 10. Preston-Thomas, H, International Temperature Scale of 1990 (ITS-90), Metrologia, 1990, 27, 3-10. 11. Schlattauer, L, Paralı, L, Pechousek, J, Sabikoglu, İ, Celiktas, C, Tektas, G, Novak, P, Jancar, A, Prochazka, V, Calibration of gamma-ray detectors using Gaussian photopeak fitting in the multichannel spectra with LabVIEW-based digital system, European Journal of Physics, 2017, 055806, 12. 12. Bojkovski, J, Batagelj, V, Drnovšek, J, Žužek, V, Practical Limits of Measurment Uncertainties in Calibration of Standart Platinum Resistance Thermometers by Comparison, XIX IMEKO World Congress, Fundamental and Applied Metrology, 2009, Lisbon, Portugal, pp 1581-1584. 13. Groselj, D, Example of Measurement Uncertainty Estimations Temperature, World Meteorological Organization, Commission For Instruments and Methods of Observation, 2013. 14. Bonnier, G, Uncertainty Calculating Methods at Tempareture Measurement, TUBITAK National Metrology Institute, 2017. 15. Evaluation of the Uncertainty of Measurement in Calibration, European Accreditation, Mandatory document, EA-4/02 M: 2013, The EA Laboratory Committee, 2013.